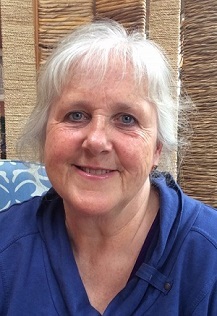 Deborah O’Neill is a mindfulness teacher, psychotherapist, and trainer with over 30 years of experience working with individuals and groups in a wide range of community based settings. She currently works as a counsellor and mindfulness teacher in Cork ARC Cancer Support House. Deborah has completed training as a Mindfulness Based Stress Reduction teacher with the Centre for Mindfulness in Medicine, Healthcare and Society at the University of Massachusetts Medical Centre, USA. She has also completed a specialist teacher training in Mindfulness Based Cognitive Therapy for Cancer with Bangor University. Deborah facilitates an adapted Mindfulness Based Stress Reduction programme for living with secondary cancer. Deborah has had a personal mindfulness practice since 1985 and for the last eleven years has been offering mindfulness courses, trainings and workshops in community, voluntary agencies and healthcare settings.